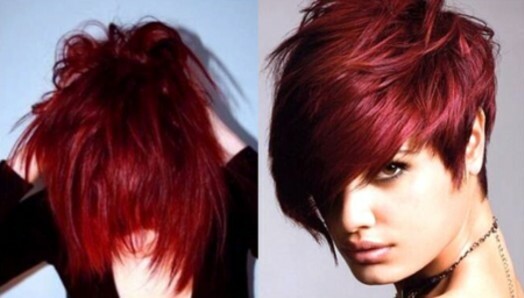 Adding Crimson-Red Rose shades into your hair color palette offers this fall/winter an assortment of choices for all those red heads or wannabes out there. 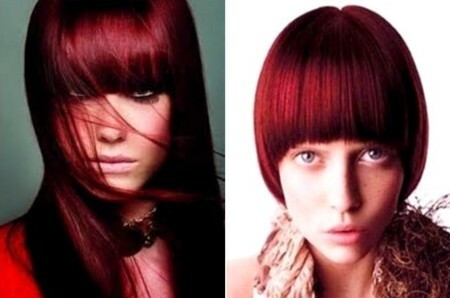 This fall/winter attention is on red hair colors with more blue/violet in them that will work with most skin tones adding richness and a healthy glow and a bit of pow. My Crimson Reds are equal parts of red + violet, Red Rose is equal parts of red+violet+a dash of orange, and regardless of any level on a current brunette or red shade going either way can add an overall or dimensional fantastic look to a great haircut. I very rarely just do an all over solid color (tint, single process) on my clients even if I take a few slices of the hair and apply the same new-growth (root) color to those pieces and leave the rest out, end result hi-lited hair in a flash and not always do we have to refresh all the hair all the time. Another way I am loving using these tones are color blocking whether vertically or horizontal sections layering these 2 shades either together or with darker rich browns and blacks commands attention. My beliefs on red hair colors and skin tones is this; warm skin is primarily complemented by cool hair color, cooler skin is primarily complemented by warm hair color, hence a dash of orange in our Red Rose, remembering that it's all about balance and nothing is more regal then a festive red jewel whether on a finger, lip or hair color. 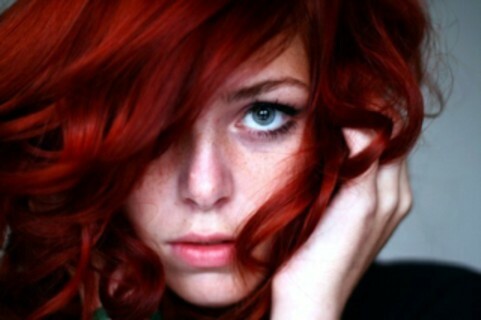 If I wanted to have my hair the color of the picture on top (with the rose) what would I tell the colorist?